Ex-Warrington back-rower Ben Pomeroy has signed for Catalans’ reserve side for 2019. The 34-year-old was released by the Wolves at the end of the 2018 season after joining midway through from French side Lezignan Sangliers. Pomeroy spent two seasons with the Dragons in Super League between 2014 and 2015, having made 168 appearances in the NRL for Penrith Panthers and Cronulla Sharks. 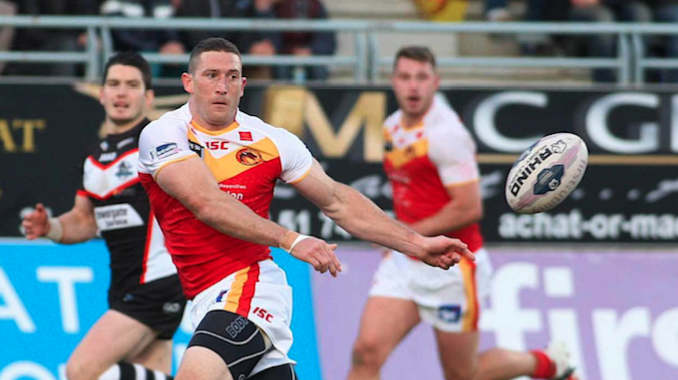 Catalans’ reserves head coach Benoit Albert said: “I’m delighted that Ben has chosen to join our club. “He understood the role we wanted to give him and is fully committed to our project of developing the future Catalans’ players. “I know him well having worked with him during his time at the Dragons and he is some I really appreciate. He is a really professional player, both on and off the field and is highly respected within our club. Pomeroy will link up with the Dragons’ reserves straight away.